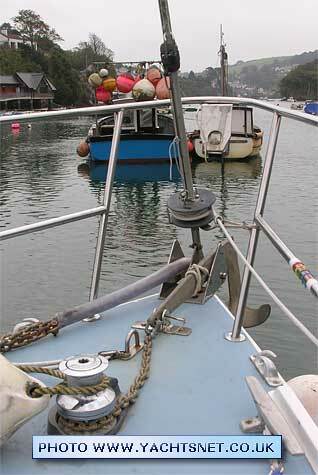 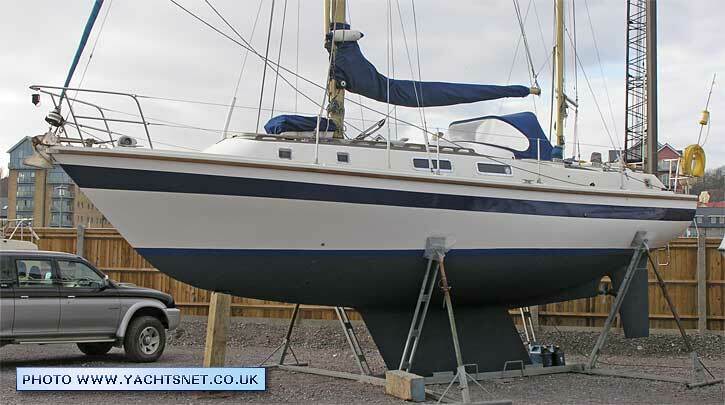 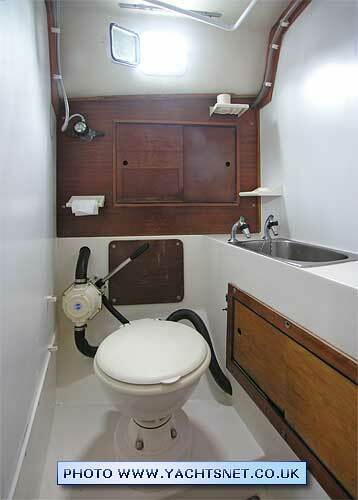 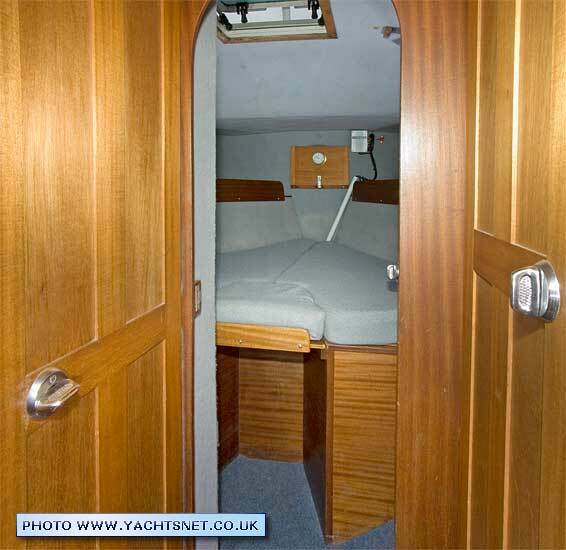 The following information and photographs are displayed as a service to anyone researching yacht types. 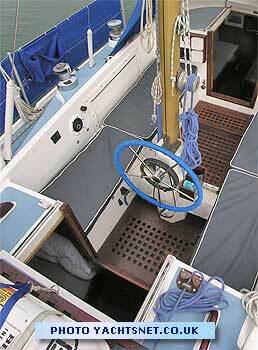 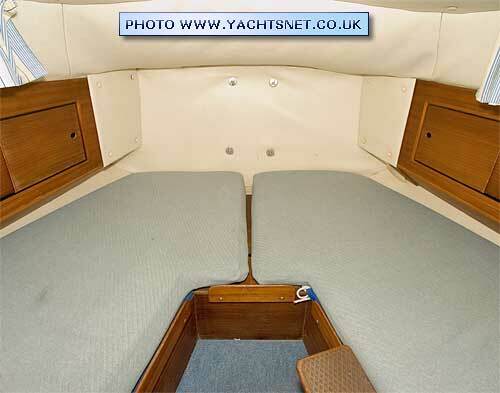 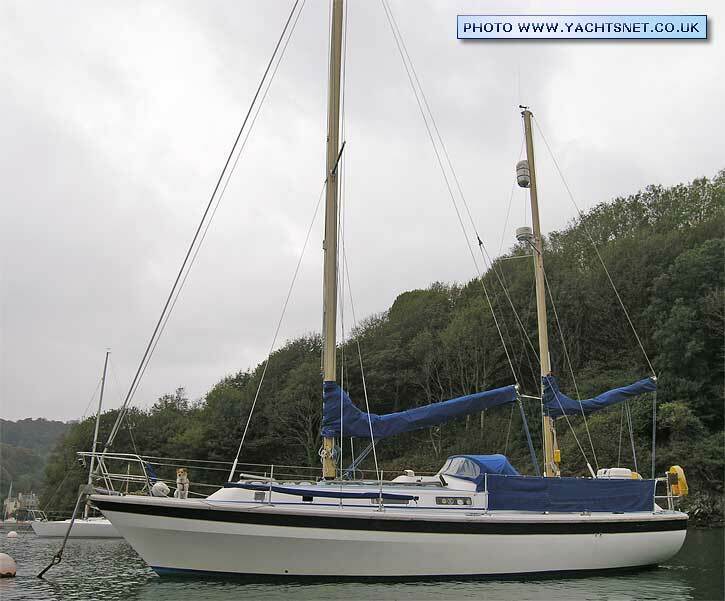 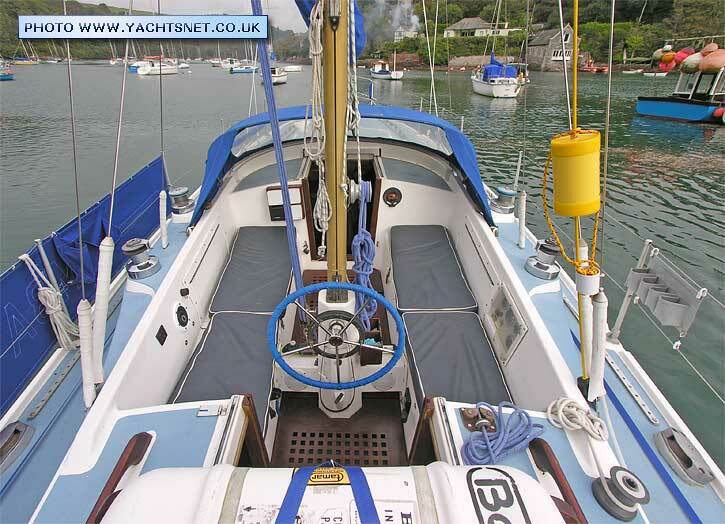 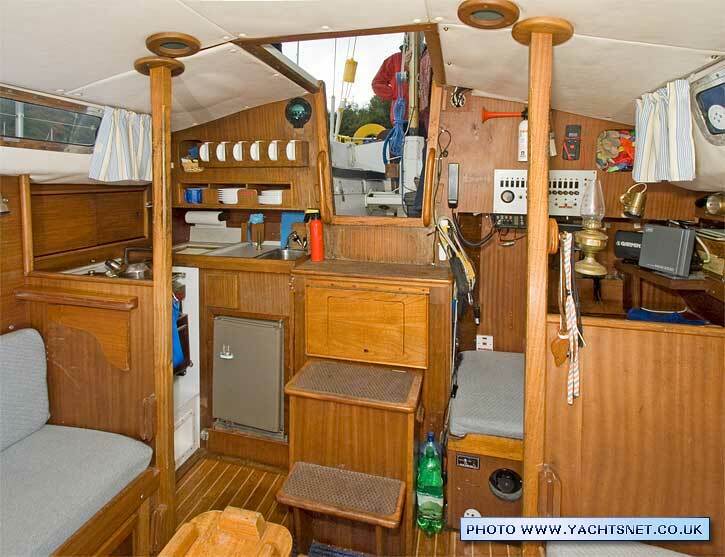 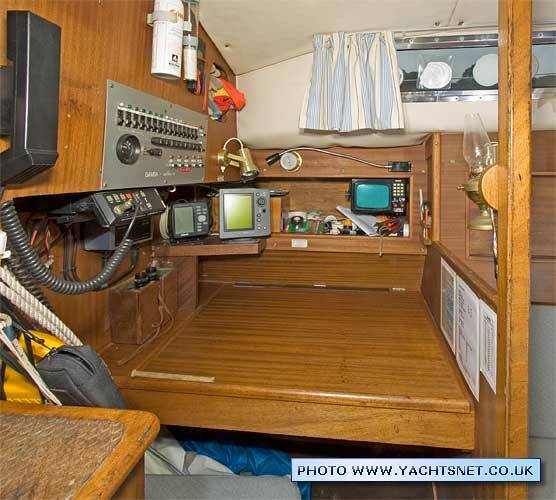 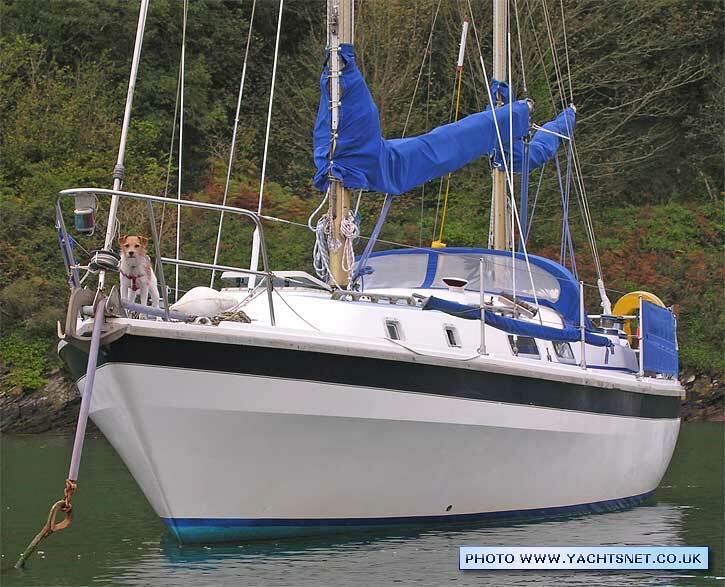 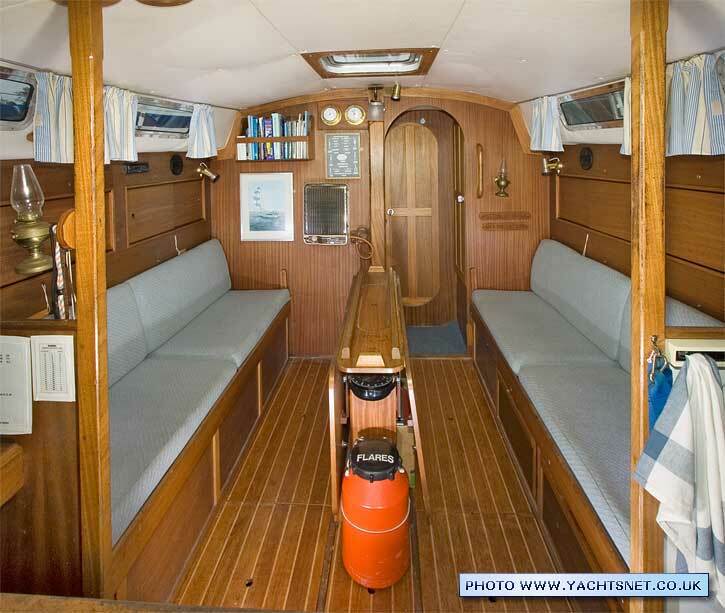 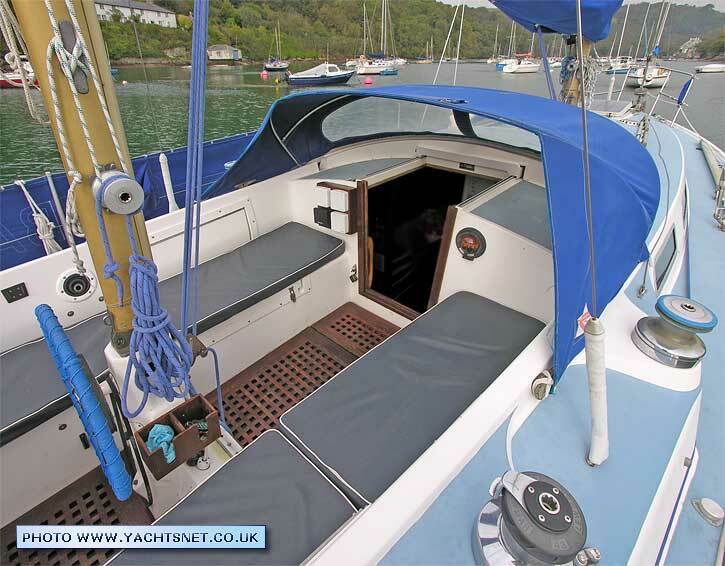 HOWEVER THE PHOTOGRAPHS ARE COVERED BY COPYRIGHT, AND MAY NOT BE REPRODUCED WITHOUT THE PERMISSION OF YACHTSNET LTD. 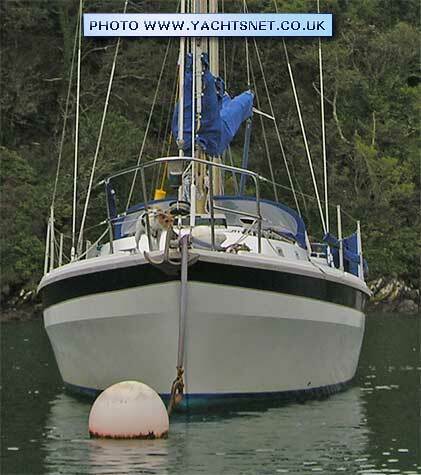 Details and photographs are normally based on one specific yacht, but could be a compilation. 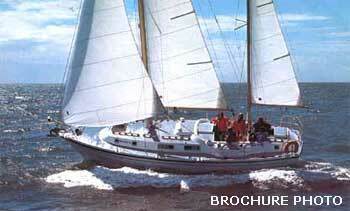 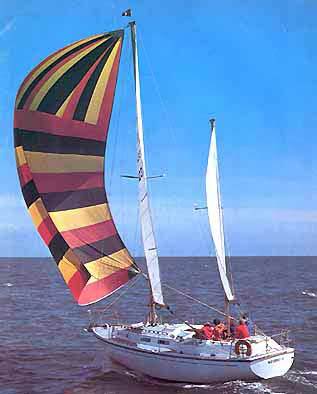 No reliance should be placed on other yachts of the same class being identical. 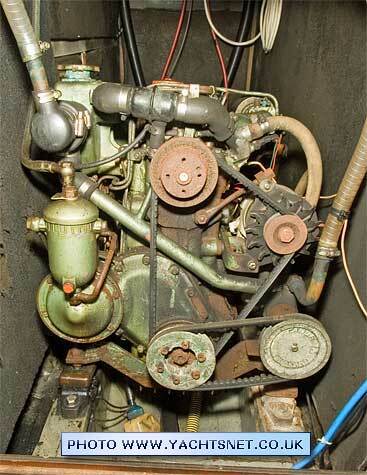 Where common variations exist, we have endeavoured to indicate this in these archive details. 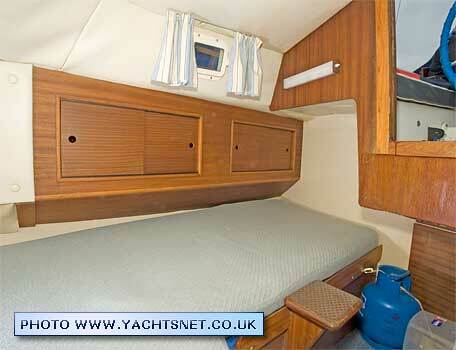 The price guide covers the normal ranges of age and condition. 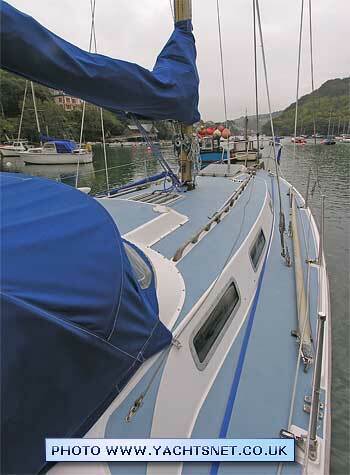 Exceptional boats, whether good or bad, may fall outside these guidelines. 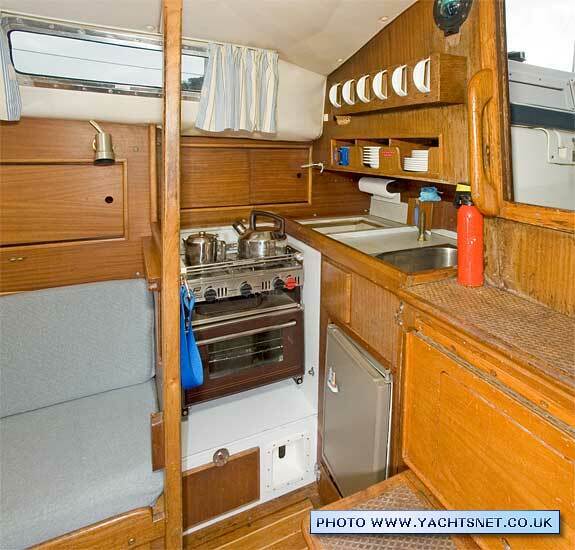 The Westerly 33 was the bigger, beamier and heavier successor to the long-running Longbow/Renown range, and whilst also designed by Laurent Giles, and retaining the distinctive bow knuckle, had a much more elegant coachroof and substantially more interior space, plus a much better standard of interior finish than the older models, with lots of solid wood trim. 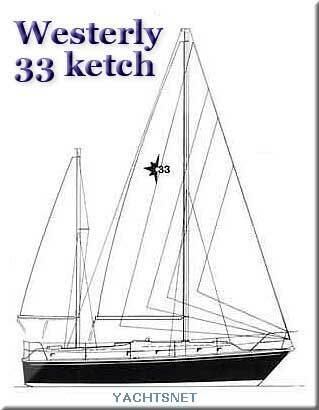 With as powerful a diesel as most similar sized motor-sailers, they are nevertheless good sailing yachts, particularly in the fin-keeled models. 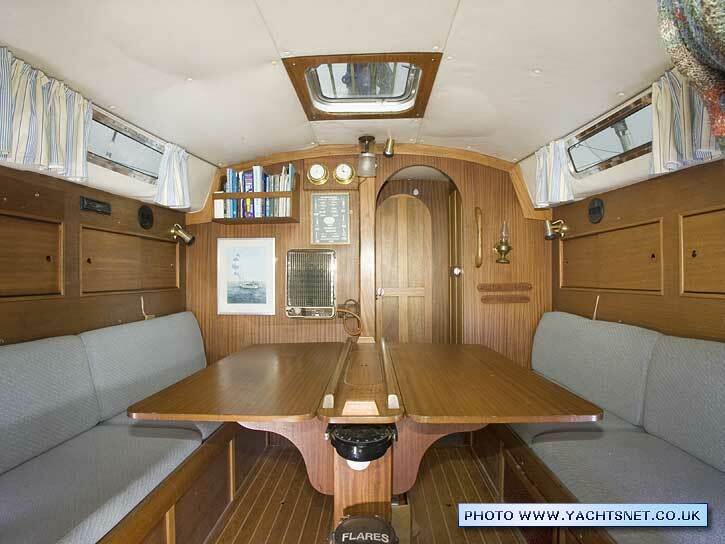 Yachts seen here are no longer for sale — the data is online as a free information service for buyers researching boat types. 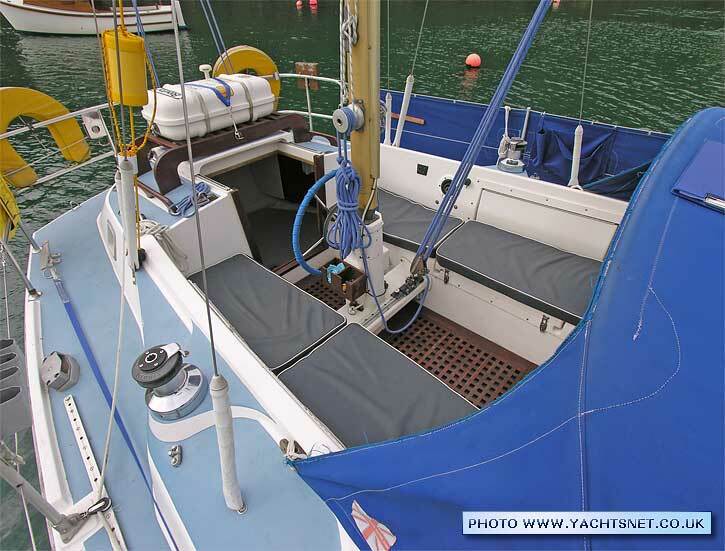 THE PHOTOGRAPHS ARE COVERED BY COPYRIGHT, AND MAY NOT BE REPRODUCED WITHOUT THE PERMISSION OF YACHTSNET LTD.